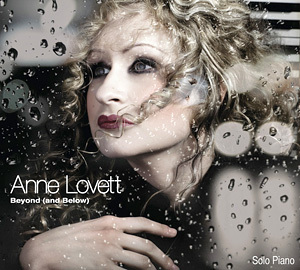 Anne Lovett "BEYOND [AND BELOW]"
I directed the artwork of Anne Lovett's first album. she is an amazing and very talented pianist. I'm so glad to be involved in the project. it was a wonderful experience, we discussed via e-mail many times till the artwork is fully satisfied. her music is just amazing... my favorites are Tokyo Rush and Liqued Daydream. her album is now available. you can get it her site.